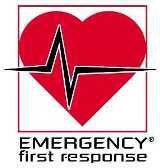 Emergency First Response is a CPR, AED, and First Aid training organisation that has gained international acceptance in 180 countries. Almost 50 years of experience backs EFR Certifications producing instructional courses, training materials, and educational curricula, expertly delivered by over 56,000 CPR Instructors worldwide. Emergency First Response courses follow patient care standards as published in the American Heart Association 2010 Guidelines for Cardiopulmonary Resuscitation and Basic Life Support according to the International Liaison Committee on Resuscitation. ILCOR is an International standards group representing most of the world's major resuscitation organisations, including the AHA, the Australian Resuscitation Council, and the Resuscitation Council of Asia. The 2015 guidelines represent the most extensive research into emergency cardiac care to date. The international recommendations further reinforce the emphasis on providing fast and effective chest compressions with minimal interruptions as a critical aspect in treating a patient who has suffered cardiac arrest. Emergency First Response courses are flexible, and convenient. EFR performance-based courses combine knowledge development and skill development with realistic scenario practice sessions. The class training builds student confidence in a non-stressful learning environment with an emphasis on easy learning and having fun. The Emergency First Response Primary Care (CPR) and Secondary Care (First Aid) courses teach people how to provide emergency care for someone in need. These life-saving skills have applications in many areas of our daily lives as parents, schoolteachers, childcare workers, and in industrial workplaces. Recent world events clearly demonstrate how disasters of such magnitude quickly overwhelm the Emergency Services network, leaving you as the first link in the chain of survival. You should be prepared to be self-sufficient for at least three to five days, which includes food and water as well as having the skills necessary to manage medical emergencies. We also face the omnipresent threat of terrorist attacks and each of us may be called on to help a fellow traveller, possibly in the midst of our daily commute to work or while shopping at our local market. Now is the time to take stock of your personal situation. Having training in CPR and first aid is critical because you are likely to be the emergency first responder in action for your family or in your workplace or neighbourhood when Emergency Medical Services are delayed or unavailable.